You never know what you’re going to see at Cars and Coffee events. While the event started in Los Angeles, even here in Austin we have an incredibly wide variety of entrants. We’ve seen all sorts of classics from the 1910s and up, exotics like Lotus Esprits are common, and at least1 Lamborghini Gallardo with twin turbos is commonplace. But there are also a wide variety of American cars, ranging from classic Olds Cutlasses to Mustangs. 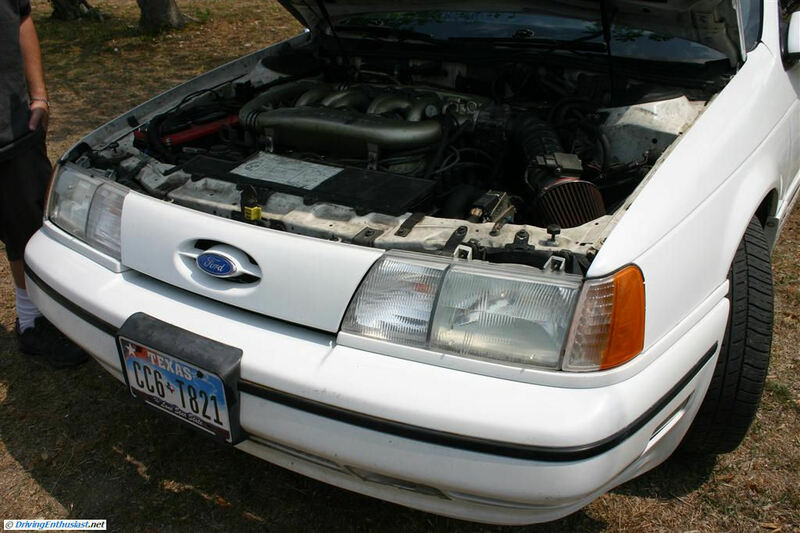 Speaking of Fords, what has been missing to date are examples of the eighties and early nineties performance cars: the Taurus SHO, Thunderbird SC, and Mustang SVO. To date (and we haven’t missed a show yet), we’ve had exactly 1 Thunderbird SC and 1 Mustang SVO (both in beautiful condition, we wanted to buy them both). And not a single SHO! That changed today. This is a white 1990 model, with a transplanted 1989 engine. 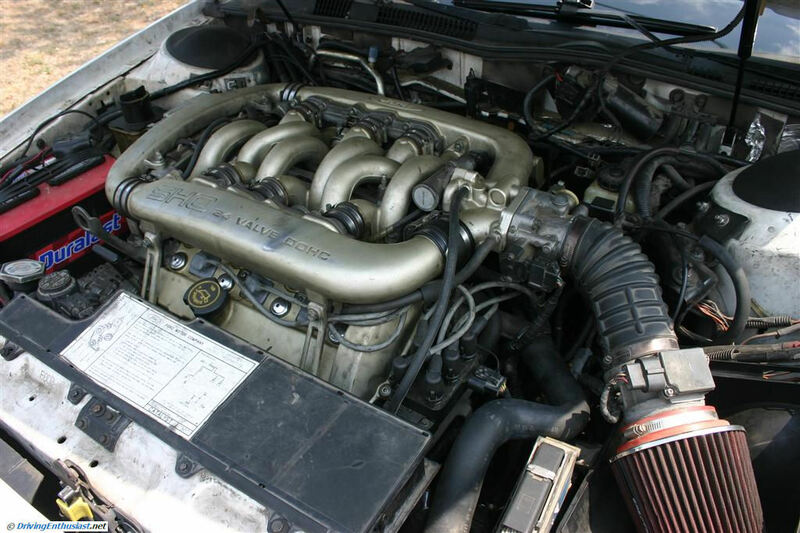 The original engine is undergoing mods to bring it up to, as the owner says, “the same HP level of the new (Gen-IV) SHOs”. It was great to see this car, it brought back lots of memories of our own 1989 SHO, and we’ll look forward to seeing it with it’s new engine someday. She also lamented the fact that the new Gen-IV SHO is an overweight pig, a sad fact we wholeheartedly agree with. Meanwhile, Central Texans, get your Gen 1 and 2 SHOs to the show, along with your Mustang SVOs and Thunderbird SCs.